Bullish Tory Victory: For the last year we have advised that the election would be pivotal in the fortunes of property prices. The outcome of the election was on the top 5-10% of the bullish side – namely a Tory majority without the requirement for any Coalition. This should lead to a stable government for the next five years. This is exactly what investors have been looking for – both nationals and foreign investors. Opposition In Crisis: Furthermore, Labour have been hugely set back not knowing whether to pitch further left or into the centre, having lost Scotland to SNP almost certainly for good and having little chance of mounting a real challenge in the next five years assuming Scotland stays with the nationalists. They wont even have a new leader until mid September - that's almost 5 months without a Leader. Labour clearly did not realise that most of the UK has aspirational citizens that want to work hard and get ahead in life. The Liberal Democrats have been decapitated a per Tory's communicated strategy end April 2015. UKIP today pressed the self-destruct button with infighting. The Greens have only one seat and weak leadership. So politically it is set for a reasonably stable five year Tory term albeit the next hurdles are an EU Referendum - which we believe will almost certainly be a yes vote – and whether the SNP want to push for another referendum and/or full independence – which we believe the answer will be no. If the Scots do push for full independence, economically this would not hurt the rest of Britain – though it would massively set the Scottish finances backwards and future deficits. It might also mean an independent Scotland would not meet fiscal targets that would allow it to keep within the EU. Ripple Effect: The "ripple effect" from the booming property prices in London will feed through to all places in England, Wales and start to impact Northern Ireland. Its likely property price growth in Scotland will grind to a halt because the Scottish Nationalist movement has created considerable uncertainty for investors and home-owners, hence inward investment will be weaker. Also the oil price crash from $110 to $60/bbl end 2014 will affect NE Scotland and this will ripple through to the rest of Scotland as deficits widen. The outlook for full independence seems a bit more likely now and this will affect property prices we believe in the period 2015-2017 because of uncertainties in EU membership, currency, constitution and political policies on home ownership and business-investment. · The continued mismatch between population growth, housing supply and employment growth will continue to drive up property prices in London. 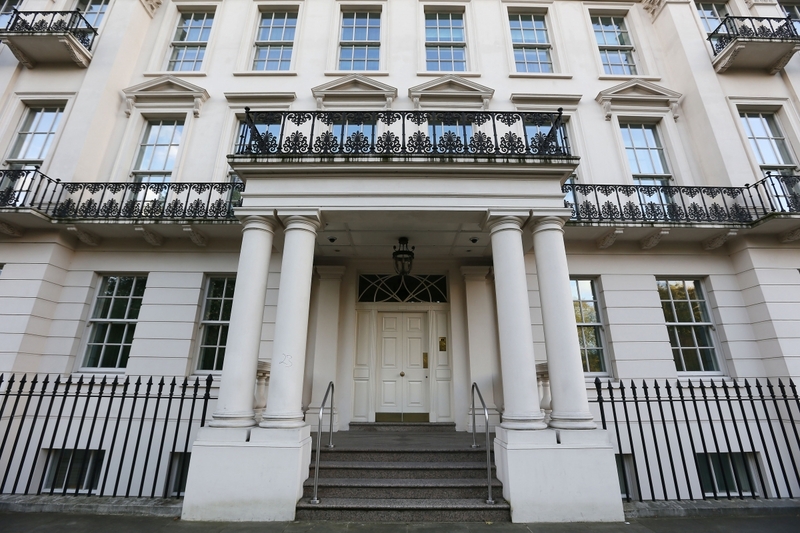 · The safe haven status of London is retained and we expect London top end property prices to rise sharply by about 20% in the next two years – a strong relief rally after Labour’s failed attempt to gain power and tax aspirational people. EU: The big unknown is now are what sort of deal the UK will get from the EU and whether there will be a referendum (likely), and when (in 2016 or 2017) and what it will mean exactly for the UK and its membership of the EU. Overwhelmingly business wants the UK to stay within the EU – but tough negotiations are to be had to at least try and improve our lot. Outcome: The outcome will be the UK growing at an even faster pace that other G7 countries, likely to be the fastest growing G7 country in the next few years, also boosted by the lower oil prices and low oil import costs. 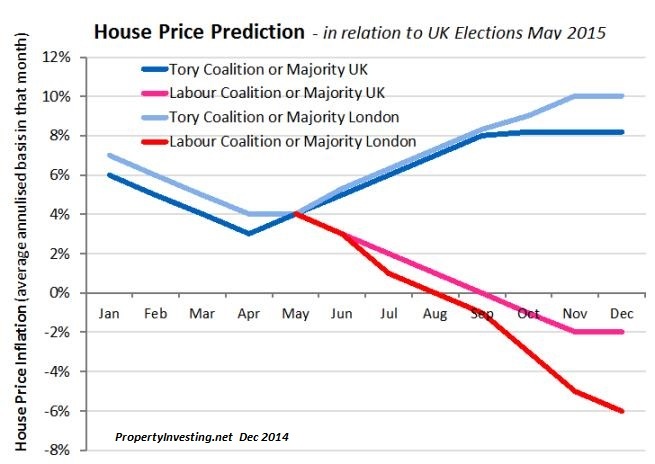 Another outcome will be booming house prices, particularly in London and areas close to it. 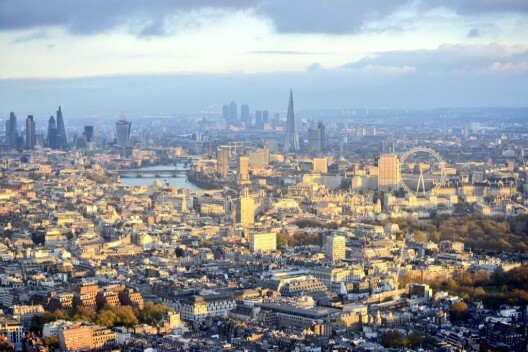 Top Tips: Investment close to the new Crossrail stations – Acton, Paddington and Ealing look particularly attractive. Investment at the new intersection of Crossrail and Thameslink – at Farringdon station. Selective investment in some of the remain very low priced areas in London like Tottenham Hale, New Cross-Deptford and possibly Woolwich and Abbey Wood (end of Crossrail line). For the new young international rich, anywhere close to Tech City (Old Street roundabout) – Shoreditch-Whitechapel – close to the rapidly growing high tech start-up companies. The young owners will want 4 bed terrace house close buy when they get a bit older and have families. Lower priced properties close to Nine Elms. Quiet streets in Earls Court (proximity to Chelsea/Kensington). Second Home Top Tip - Cornwall: Finally, second home ownership will get a bit of a boost. Wealthy Londoners will want to buy holiday homes in SW England. They will tend to steer clear of Scotland for both holidays and second home ownership. The Poldark series has just ended, and a new series is due to be filmed in Cornwall in 2016. This three year "Poldark Period" is surely boost property prices in Cornwall - particularly areas close to where the series was filmed. We call it the "Poldark Factor". Expect record holiday boom this summer in West Cornwall - where the Tin Mining and beach scenes were filmed - specifically Botallack, Porthgwara and towns close by like St Just, Penzance/St Ives plus Charleston near St Austell. Cornish property prices have been depressed for the last 5 years and we believe they are set to move up rapidly from May 2015 onwards for 3 years.